If you want to be in the know about what’s going on, you’ve come to the right place. This Memorial Day, we remember and honor the men and women who have served our country’s armed forces—specifically those who have given the ultimate sacrifice. Learn more about restoration efforts at the Light Station County Park! Do you like to roll up your sleeves and get into things? 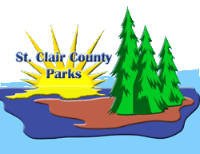 Volunteering at the Fort Gratiot Light Station County Park is for you. Check out photos of a couple of recent Saturday afternoon crews at work. Friends of the Fort Gratiot Light and St. Clair County created a new agency endowment fund with the Community Foundation of St. Clair County. Friends of the Fort Gratiot Light have made some changes in their relationships with the Museum, County and Community Foundation.